Adult coloring books have become a huge trend nationwide, but that doesn’t mean that young adults or teens have to color boring, grown-up pictures (at least in their mind it might be boring). There are many coloring books that are designed with pictures that appeal to adolescents, with fun patterns, adventuresome aesthetics, and quirky, lighthearted images. If you are looking for young adult coloring books at wholesale price, or wholesale coloring books for teens, you have come to the right place at Art Therapy Coloring! We offer great designs for teens and young adults, at amazing low prices in bulk. 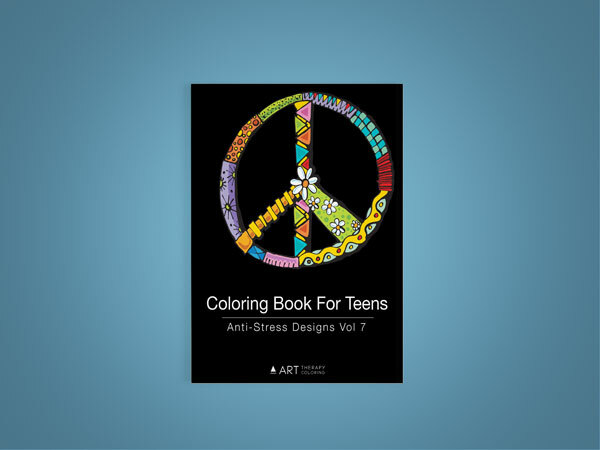 Why do you need to stock coloring books for teens? Teenagers represent a huge market for coloring books. Teens need to be able to relax and calm down, just like anybody else. 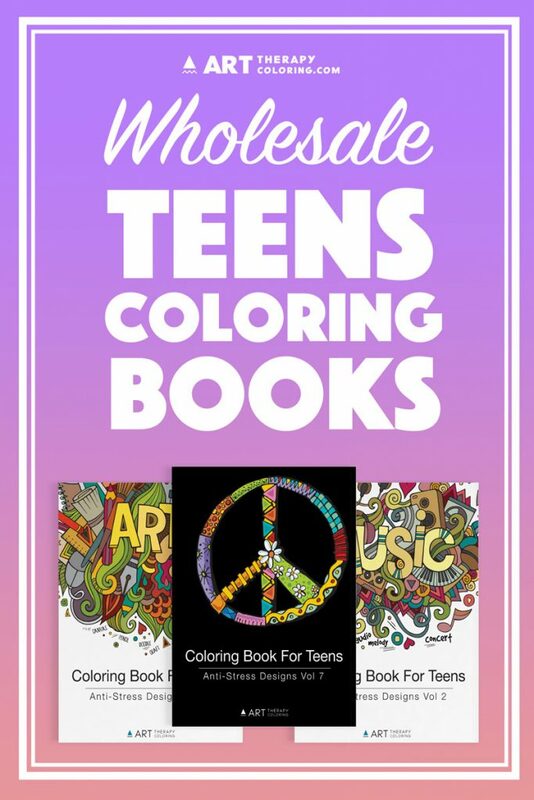 It is in the best interests of your business for you to stock coloring books that appeal to things that teenagers are interested in, and that have artistic styles that appeal to the younger set. What are coloring books for teens? Of course, it would be completely false to claim that all teenagers like all the same things. When we talk about coloring books for teenagers, this is not what we mean at all. But coloring books for teenagers and young adults are designed to reflect teenagers’ interests in popular culture. Our young adult coloring books have pictures that appeal to teenagers, and fresh, new designs that look exciting and fun. What do young adult coloring books have that regular adult coloring books don’t? Coloring books for Adults often have complex designs such as detailed flower illustrations, mandalas, and geometric patterns that are calming and comforting for adults, but which young adults and teenagers may find boring. Young adult coloring books and coloring books for teenagers usually have bolder designs, which adults may find too busy. Our artistic preferences change as we get older. Children love cartoon characters, but adults generally just tolerate those cartoon characters for the sake of their children. Similarly, teenagers often love designs that would not necessarily be appealing for an adult. Here at Art Therapy Coloring, we believe in providing as many different designs as possible to appeal to as many different colorists as possible. That is why we have a wide variety of young adult coloring books and coloring books for teenagers. 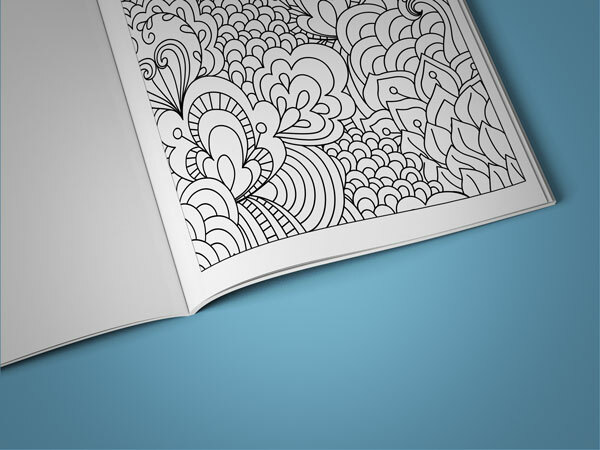 Your customers can choose coloring books that have a variety of different themes to reflect their interests. Coloring is a comforting activity that brings people back in their minds to the carefree time of childhood. It is just as therapeutic for teens as for adults. It is also a great social activity, and it helps to create friendships or just break the ice by giving people something fun that they can do while they talk with each other. And, of course, coloring is a creative activity where people can create something beautiful. Who doesn’t love taking a gorgeous design and filling it with bright colors to make a piece of unique and exquisite art? How to buy wholesale color books? Just send a contact form over our contact page, and we will get back to you with wholesale pricing information.